We can arrange all transport requirements. Containers do not need a concrete base to stand on, in most cases just one railway sleeper placed at each end is more than sufficient. By far the cheapest form, is for us to crane your container onto a standard Container lorry and you the customer can arrange to crane the unit off at your site. 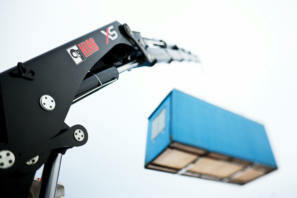 Smaller Containers can be easily off loaded with a suitable fork lift eliminating specialised transport. We can arrange delivery of your container with Hiab off loading facility subject to suitable vehicle access being available. The use of a mobile crane is always possible for locations that have buildings or obstacles that prohibit access to a Hiab type delivery. Site delivery is important and you may prefer for us to handle this for you. Our drivers are patient and have many years experience in delivering the container to some of the most awkward access positions.